It's not always easy to stand out at a trade show. InPro Corporation, which produces interior and exterior architectural products, had to make a splash at the AIA show in San Francisco. Lucky they called on us, attention getting is our specialty! 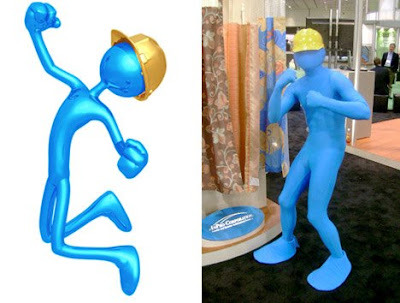 Inpro's website and promotional materials feature a quirky mascot: a faceless skinny blue man in a hardhat who resembles a Gumby-like lanky rubber toy. Our assignment? Bring the blue man to life! Makeup was not an option, the character has no face! Luckily we had just the right person. Hector has been making and wearing fantasy costumes for years, most of which cover his face. 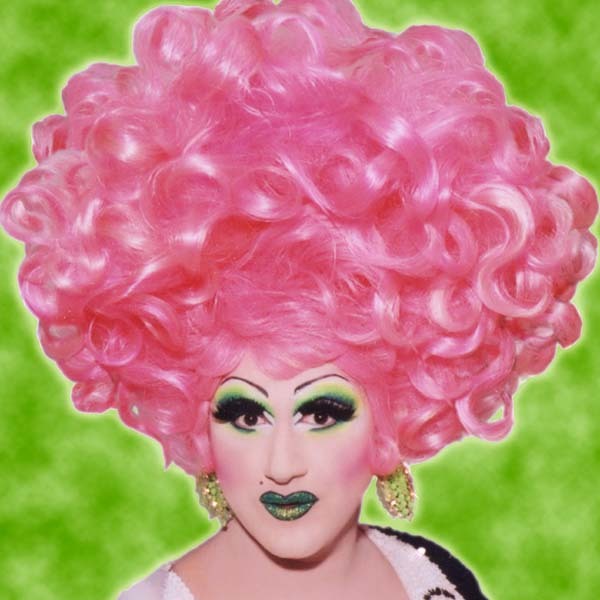 When the designer and the performer are the same person there are multiple advantages. Most importantly: a perfect fit and no complaints about wearing something so odd and restrictive for a full day. Things went so well that Inpro immediately booked us for three more shows!